The thing that put me off ever purchasing or trying a Wet Brush is the fact that since I was old enough to take care of my own hair it has been drummed into me that you simply don't brush wet hair. Why? Well wet hair is fragile and a typical hair brush is simply too harsh and could result in breakages, split ends and general damage. The last time I went to the hairdressers (it has been a while, if you could only see my root regrowth. Woof!) my stylist produced a wet brush after washing my hair and just like that I was converted. I will put off visiting the hairdresser for as long as possible simply because I find getting my wet hair combed out at the hairdresser torturous. I was expecting the brush to be rough on my wet hair but the truth is it glided through my wet and tangled locks with ease and made detangling a dream not to mention that it is far easier to grip on to when dripping wet from a shower. 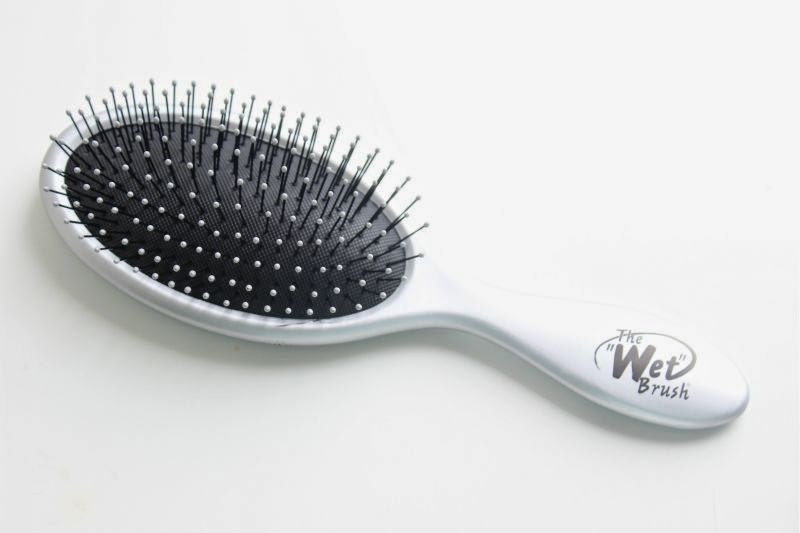 Like most I did fear that this would damage my hair but unlike a typical hairbrush the bristles are soft, flexible and kind on the hair. I can't quite place how or why this works but it does. My hair doesn't appear to be any more damaged than before and the way I look at it is if many salons are using the wet brush in place of a comb it can't be all that damaging? The only thing I dislike about the Wet Brush is that it is a cushioned brush for comfort which can make it a little more time consuming to clean in comparison to an all plastic Tangle Teezer. As that is my only complaint I'd say we are on to a winner and taming those tangles just got a whole lot easier! If you have tangle prone hair this the best £10 or so you will spend. The Classic Wet Brush £11.99 via Cult Beauty -link.